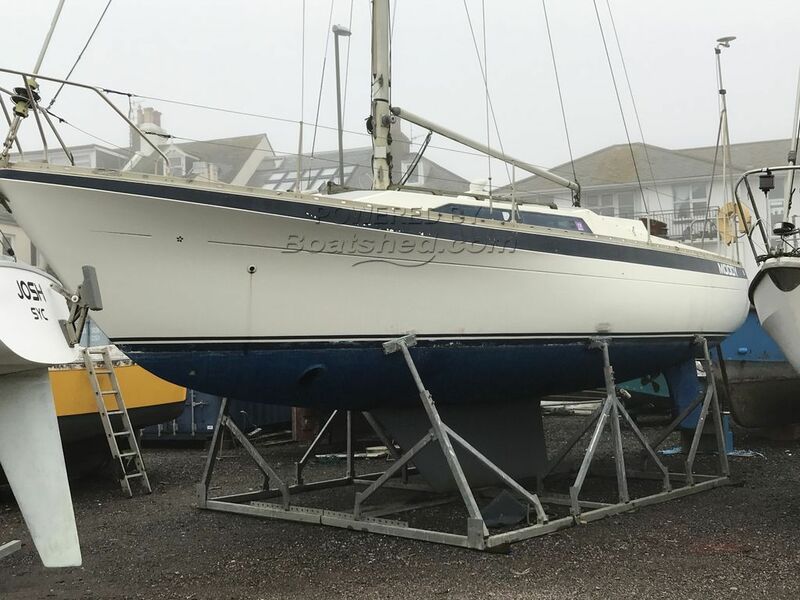 Update - March 2019 This yacht has now been antifouled, hence some newer looking underwater profile pictures. Previous pictures were taken in February 2019. Her upper deck needs a clean, but it does appear to be on her surface - with a good clean and polish, she could look lovely again, especially with a bit of attention to her hull paintwork. There's a lovely Moody 33 under there! This is a boat that hasn't been used for a long time. Her interior is essentially stripped back to the bare minimum, leaving most of what was there at build still in situ, but she needs to be made back into a liveable space. Her engine has been removed, serviced and replaced. If you fancy a cheap Moody that will benefit from some investment, then this boat could well suit you. This boat is sold as seen and there is no proof of VAT exemption. This Moody 33 has been personally photographed and viewed by Tim Kingston of Boatshed Brighton. Click here for contact details.